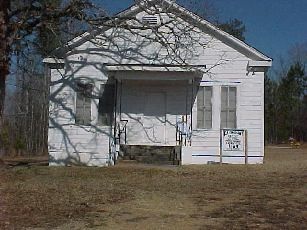 From the Hancock County Courthouse, go 0.8 mile on Hwy 22 east to Fairmount Church Rd. Turn left on Fairmount Church Rd and go 4.2 miles. 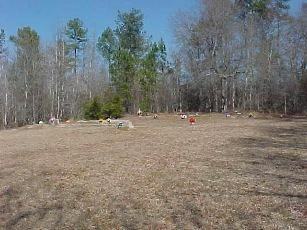 The church will be on the right with the cemetery behind it. Graves numbered 50 and higher have been added since the original survey and are based on obituaries. They are believed to be somewhere within the cemetery. No death date as of May, 2004. Shares gravestone with Joseph A. DeVeau. In same lot as Hermon M. Montgomery. In same lot as B. T. Montgomery. Shares headstone with Effie R. Carr. Shares headstone with Walter N. Carr.